Leon Lawson III is a long way from home. He’s in Charleston, W. Va., facing a fighter from Colorado named Andres Borrego. 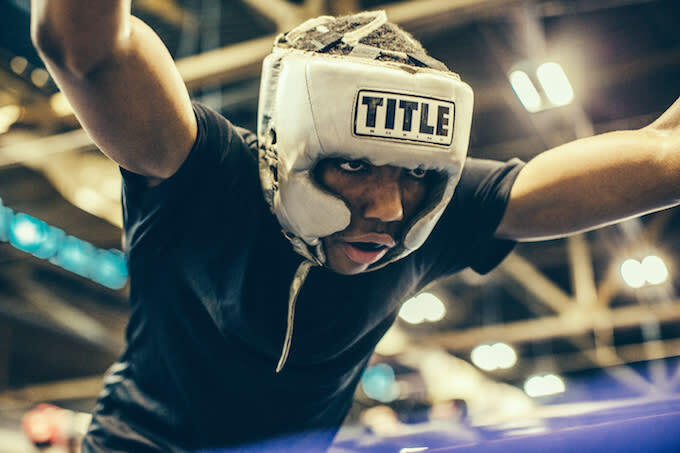 It’s the Junior Olympics and Lawson III is a 15-year-old with seven national championships, a top national ranking, and the weight of three generations of family on his 138-pound shoulders. Intimidating? Not if you know his story. Much like the current state of boxing, Lawson III’s hometown of Flint, Mich., has fallen on hard times. 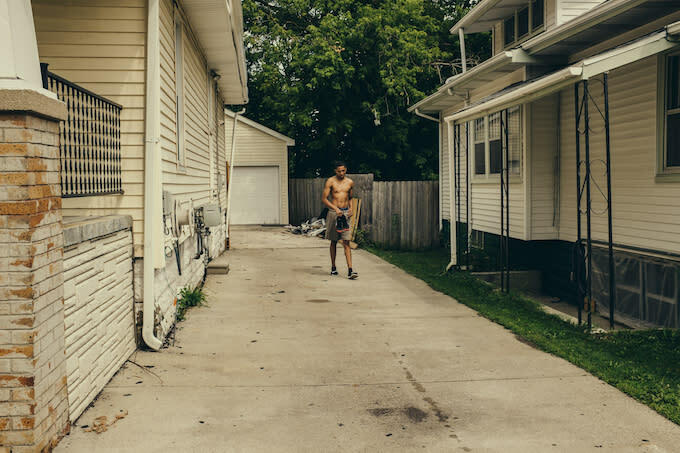 It’s regularly listed as one of the country’s most dangerous cities, a black hole of self-destruction for many of the area’s most talented amateur athletes. 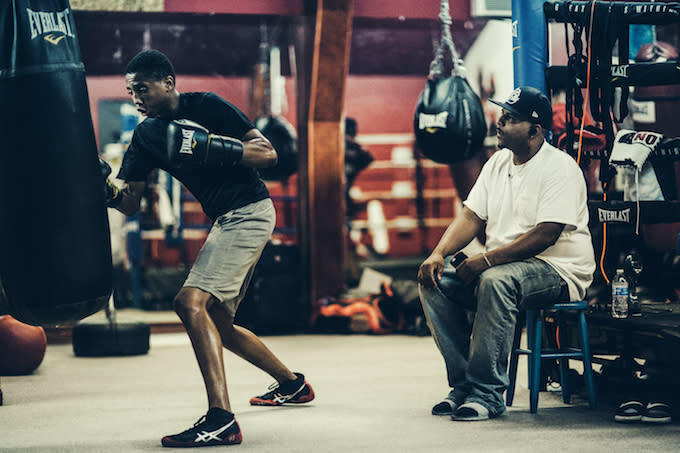 It’s also home to the Lawsons—a family that protects its own and breeds boxing champions. The grandfather, Leon “Bumper” Lawson, was a dear friend and long-time sparring partner of Muhammad Ali. 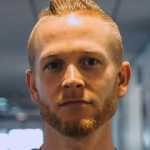 His trainees include top-ranked super middleweight contenders Andre and Anthony Direll, as well as Claressa Shields, the first American woman to win a boxing gold medal at the London Olympic Games. Photos of his champions line the walls of their home gym. Lawson III is next in line. Lawson Jr., the second-generation father, introduced Lawson III to Ali and Mayweather. He has a goal for his son that seems virtually impossible—to become a world champion—and they only study the best. His father is the man who trains him every day. 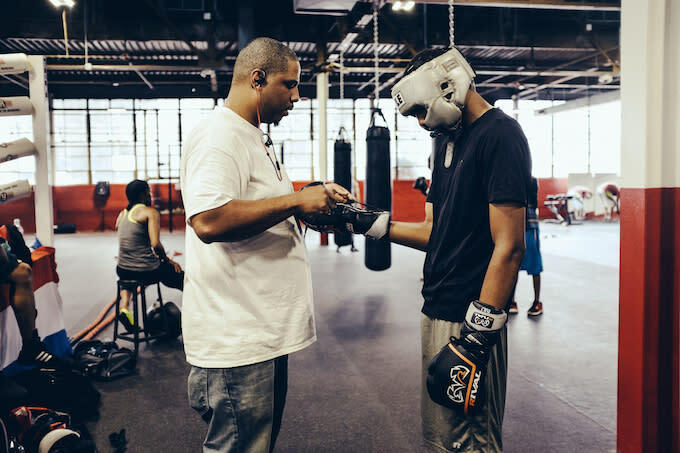 He’s the hype man, the decision-maker, and the person who taught him that boxing is more than just a sport. He instilled in his son that his craft is also a business and there is more to it than bobbing and weaving. When the bell rings, it all comes full circle: the sparring, the lectures, the sweat and blood. 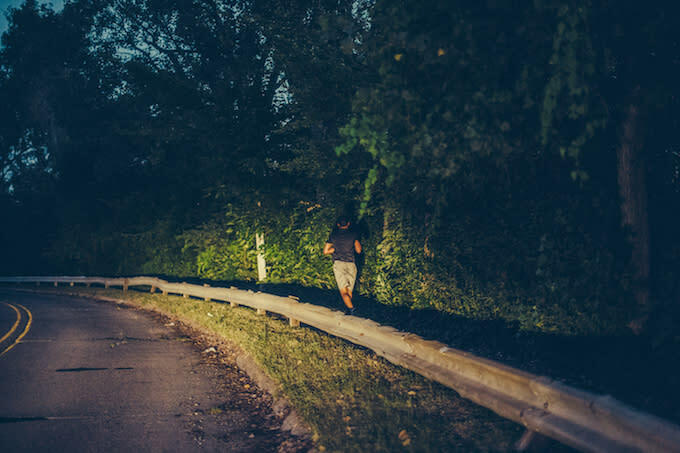 This is when all the hazy early mornings running through his hometown, past abandoned buildings, forgotten streets and rivers truly end. All the hours spent obsessing over the same grainy Floyd Mayweather footage, a personal 15-second message that the top boxer in the world dedicated to Lawson III. Lil Leon, we need you working hard, young champion. Stay focused. Listen to your parents, your grandparents. School is very important. Hard work, dedication, prayers, and belief and family, and can’t nobody stop you. Motivation? For most, that’s all it would be. For Leon Lawson III, it’s something more. 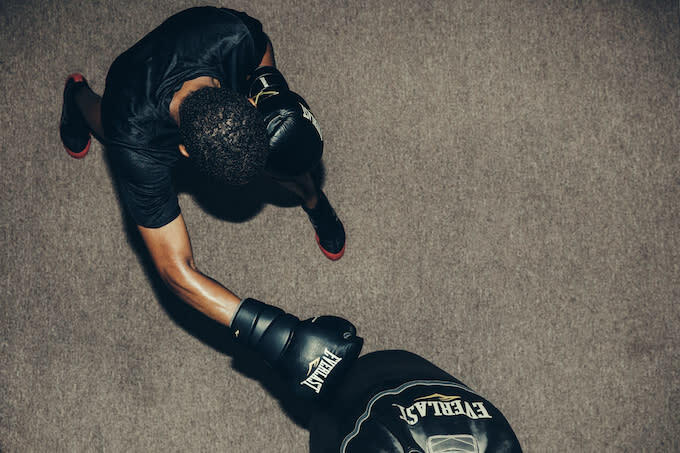 To be the best—to be the world champion his father wants—Lawson III doesn’t just need to be the next Floyd Mayweather. He needs to be the first Leon Lawson III. In this family, emerging from the pressure of grandparents, fathers, and cousins is both suffocating and invigorating. 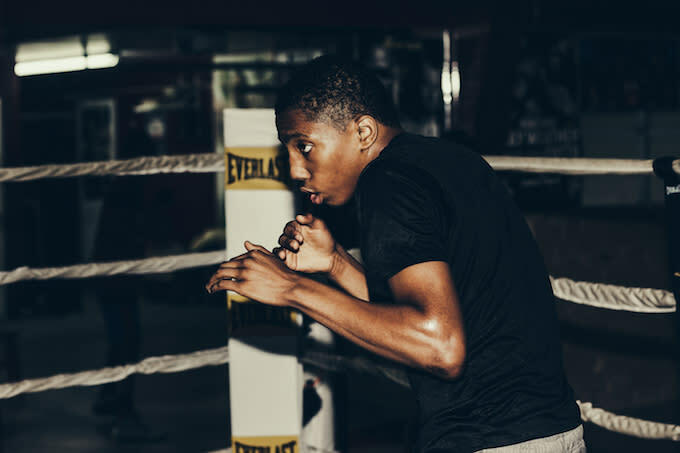 Winning the light welterweight crown would mean that come September 2, Lawson III would be on his way to St. Petersburg, Russia, to represent Team USA at the 2015 Junior Men’s World Championships. Watch the deciding fight, and the work it took to get there in episode four of Glory Days above. Glory Days is a new web series from Victory Journal and Complex, presented by POWERADE.